As brief as Stan Lee’s cameo in Spider-Man: Into The Spider-Verse was, it succeed in touching the heart of the web-slinger’s fans the world over. After all, the Academy Award winning movie hit theaters about a month after Lee’s death. In the film, Lee offers some encouraging words to the fledgling hero as he readies to wear his own Spider-Man suit. “It always fits … eventually,” says Lee, smiling. 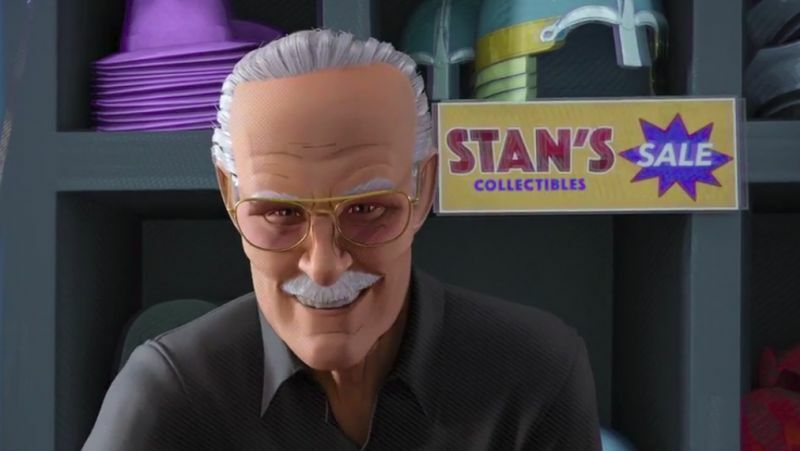 Over the weekend, Rodney Rothman – one of the three directors of the movie – took to Twitter to share with fans some of Stan Lee’s lines that didn’t make the final cut. Given Spider-Man: Into The Spider-Verse‘s success, follow-ups are certainly on the way. In the meantime, the next big screen outing for the witty wall-crawler is Spider-Man: Far From Home. The upcoming picture starring Tom Holland will be the last MCU film scheduled to hit theaters this year. Spider-Man: Into the Spider-Verse is now available on home video. Do you think that Stan Lee’s lines which made the final cut were the best ones? Let us know your thoughts in the comments below!